A complete guide to the 6 best rooftop bars in Colombo in 2019. 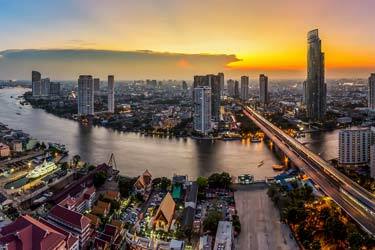 The city often called 'Southern Asias Las Vegas' offers some great nightlife, and what better way to experience it than on one of the best Colombo rooftop bars. 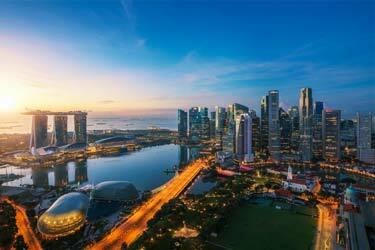 Which are the best rooftops in Colombo? 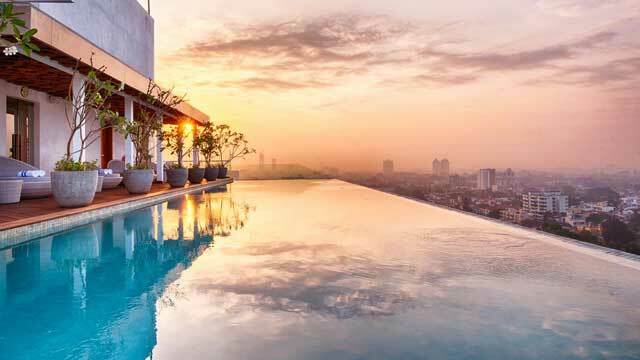 You'll find them right here, with the ultimate guide to the best roof terraces in the capital of Sri Lanka, offering views of both the ocean and the Twin Towers. Packed with all info you need about each rooftop. Opening hours, dress code, pictures, maps and much more. 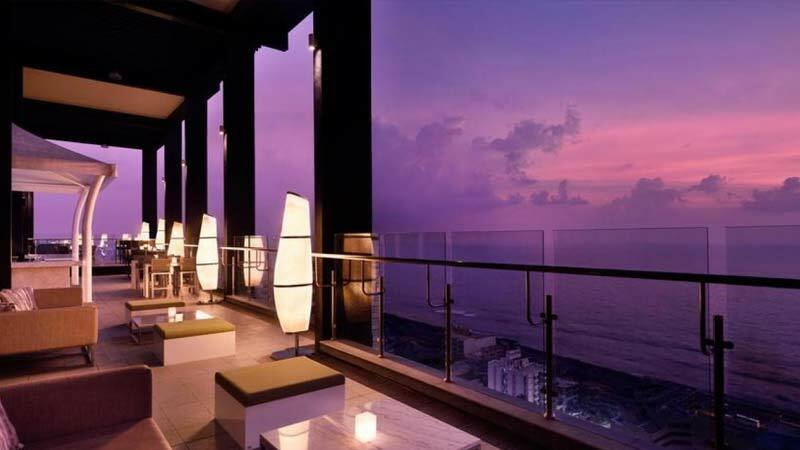 So, which is the best rooftop bar in Colombo? 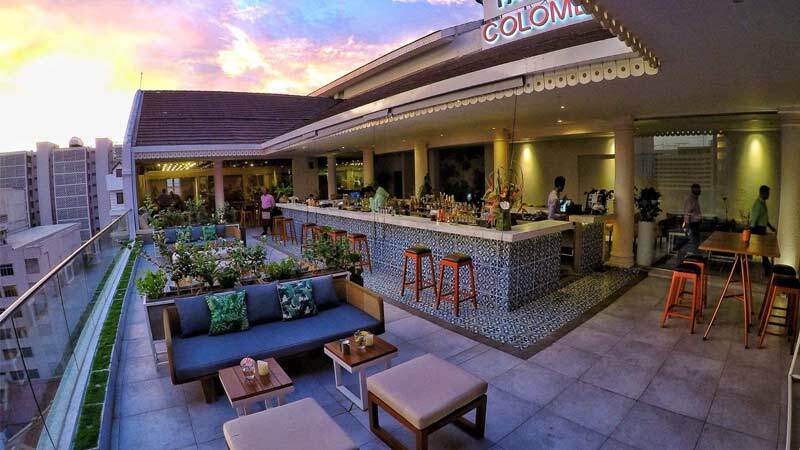 Just scroll down and find the Colombo rooftop bar best suited for you. Or use the Colombo rooftop map in the bottom right corner. 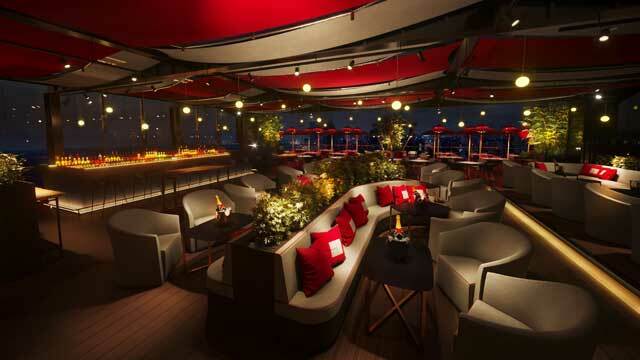 At the third floor of the boutique Colombo Court Hotel & Spa, right in the heart of the city, you find Cloud Café, a large roof terrace perfect for some cocktails under the stars. The rooftop comes with a chill-out vibe and a friendly service, so a great place for a relaxing night out with friends or family. Enjoy a wide selection of finger food, fresh cocktails, live music every Friday and rooftop cinema at special occasions. Named after its location on Ward Place, this rooftop restobar is perched on the top floor of hotel Jetwing Colombo Seven. One of the highest rooftops in Colombo and from the terrace you get a spectacular panoramic view over the city and its surroundings. With a relaxed and sophisticated atmosphere, and open throughout the day, this is a perfect spot for both daytime relaxation or a romantic cocktail in the evening. Make sure to try and time a sunset and you are in for a treat. Or even better, stay at the hotel and enjoy the absolutely amazing rooftop infinity pool. Beat the winter cold but stay on top of the rooftops! 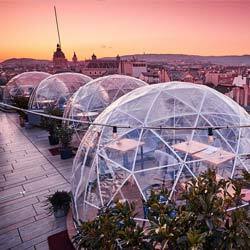 Here is our list of the best places to cosy up and enjoy some hot (or cold) drinks and enjoy magnificent views. Since of summer 2018, the rooftop at the luxurious The Kingsbury Hotel has transformed from Sky Lounge to CÉ LA VI Colombo. With CÈ LA VI's history of award-winning innovative Modern Asian cuisine and mixology, world-class music and grand views, this is definitely a great addition to the Colombo rooftop scene. Both restaurant and lounge, here you can enjoy an elevated dining experience where Modern Asian meets Japanese along with cocktails made to perfection by the very best mixologists. And live DJs every night from 5pm. 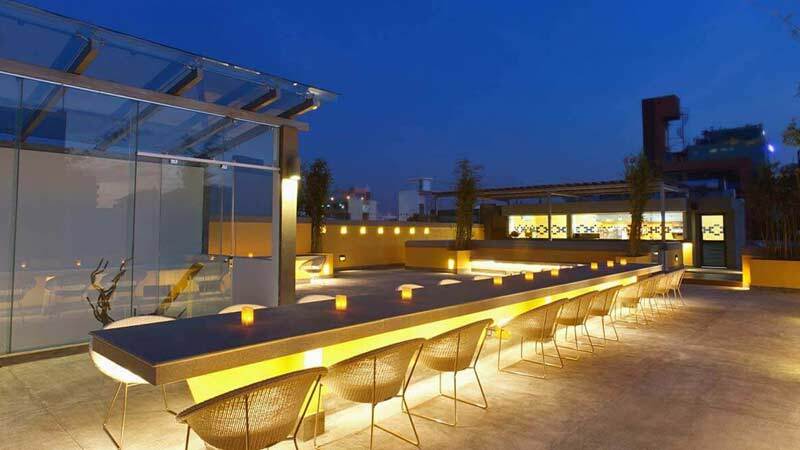 This place often ranks as one of the best and trendiest rooftop venus in the whole city. A social meeting point where people gather to enjoy the beautiful view of the city and sea. And the sunset from here is something extra ordinary. The terrace is perched on the 24th floor giving it a fantastic overlook of all the elements, near and far. From the roof bar you can not only order fantastic signature cocktails, but also buy a whole bottle and get all the ingredients needed to mix your own drinks, or smoke your cocktail in a fusion shisha. Famous for its relaxed atmosphere, city views and tasty bar food. Especially their ribs are known to be superb. Located in the Kirulapone area, a bit off the coastline, so unfortnunately you won’t get any ocean view from here. But the city view is specatacular among skyscrapers and neon lights. Choose between a wide selection of well made and classic cocktails along with a large food menu where you can find most of the bar classics. Very unpretentious and easy-going vibe, so a perfect rooftop bar for a relaxing after work. 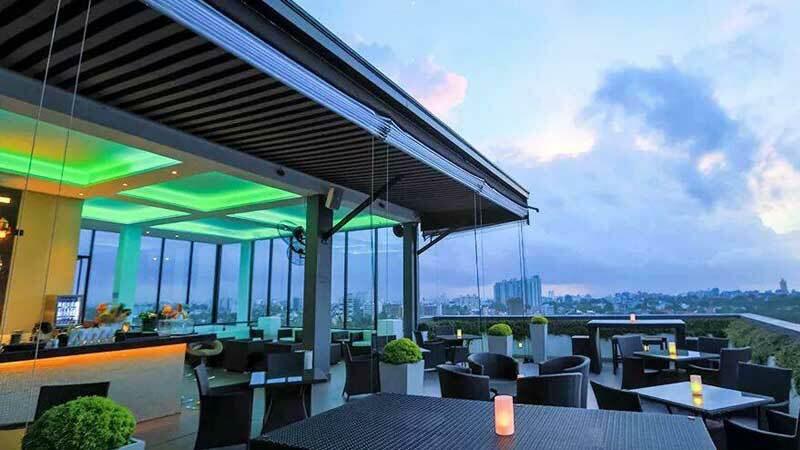 Located on the 8th floor of the fabulous hotel Fairway Colombo, right in the commercial, tourist and historical hub called Colombo Fort, this rooftop bar and restaurant has both an indoor lounge and an outdoor terrace offering grand city views. This chill and trendy place offers fantastic cocktails made to perfection along with very fresh food, all in a warm and friendly enviroment. Perfect place for relaxing times, highlighted by the in-house DJs playing custom mix tapes. Discover the biggest collection of Colombo activities, guided tours and skip-the-line tickets. Anything you want you'll find right here. Colombo is warm enough for rooftop bars to stay open year around. The only thing to take in consideration is the monsoon periods, with most rain in May and September-November. 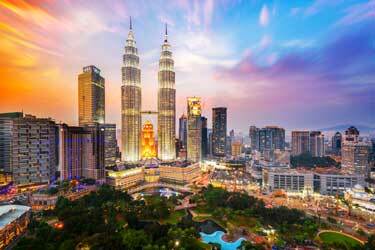 The city is quite famous for it night life, with several casinos, pubs, nightclubs and also rooftop bars. The rooftop bars are in general open all days of the week and you can choose between panoramic skyline views or more picturesque views over the ocean and the sunset. Colombo is Sri Lankas's largest city with 6 million inhabitants, and also the capital. 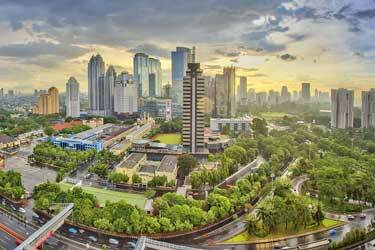 The city is located on the south east edge of the island and has one of Asia's most busy ports. Now a days the city's most famous building are the Twin Towers, at 40 stories high they are the city's highest.